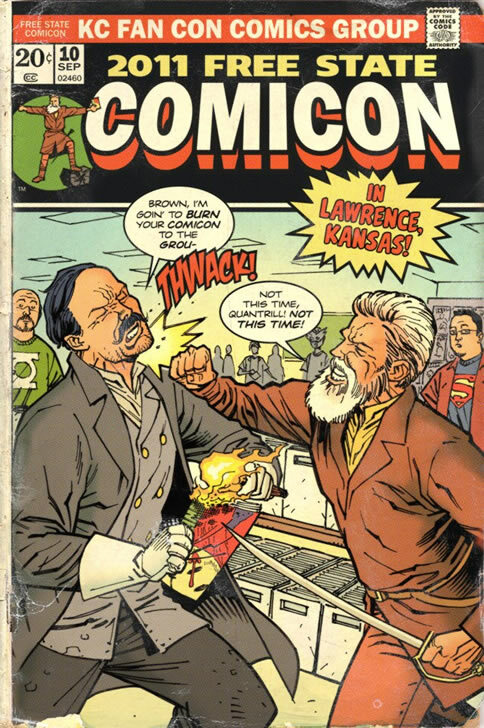 drawmein: 2011 Free State Comicon! In just five short days will be the 2011 Free State Comicon in Lawrence Kansas! In the Kansas City area, this is probably the second biggest convention around. One day only.. Saturday September 10, just about all the local guys will be in attendance! You got guys like Ande Parks, B. Clay Moore, Kevin Mellon, Alex Grecian, Jai Nitz, and Seth Peck. I'll be there for sure. Artist Greg Smallwood put me on the shows flier, that kinda gets my attention!